Aviculture is defined as the raising and care of birds and especially of wild birds in captivity. Today aviculture is not only focused on the raising and breeding of birds, but also on preserving avian habitat, public awareness campaigns and promoting good stewardship of our captive birds. The Aviculture Committee communicates with the major avicultural organizations to discuss issues that the AAV would be able to assist or in which we could work together. We help provide content for AAV’s Bird Club Releases and provide an Aviculture Forum for members to share experiences or ask questions. 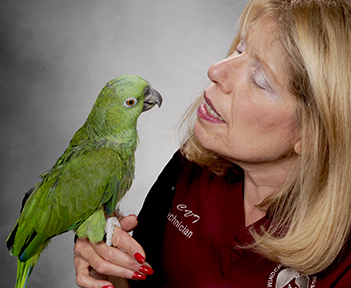 To maintain and improve interaction and communication between aviculture groups and the AAV. AAV has made available research funds for projects pertaining to aviculture. The committee is still working on guidelines for applicants seeking funding for research in this field. The committee is also reviewing an online course on the "Fundamentals of Aviculture." It is hoped that this course will provide useful information for practitioners. After reviewing this information the committee will make appropriate recommendation as to the value of adding it to AAV's education portal. AAV’s Bird Club News Release Program now has the added benefit of the members receiving access to the AAV Client Education Handout series. We are reaching out to improve our circulation of this valuable information. Manufacturers of products for the pet bird market, pet stores, pet bird breeders, pet bird owners and avian vets all have a common interest in growing an enthusiastic population of successful aviculturists. Do you have ideas on how AAV can promote aviculture? Are you an aviculturist or have some thoughts on how to bring our membership and the aviculture community closer? Do you see opportunities where AAV could work in concert with aviculturists? The committee meets annually at the AAV Conference, so join us in Washington D.C. to share your thoughts and ideas or contact Dr. Stephen Fronefield, committee chair. Chat with the Aviculture Committee on our AAV Aviculture Forum.